Real estate leads are prospective clients who are interested in buying a property and contacts an agent for more information about that property. Generally, all real estate agents should be interested in acquiring Realtor leads to increase sales, and the most effective way to do this is by using ad-based lead generation tools. The following are four of the best places to buy real estate leads for 2019. BoldLeads is an industry-leading lead generation platform that only assigns leads to one real estate agent or broker in a ZIP code to avoid overlap. Pricing starts at $299 per month for buyer or seller leads with an additional $250 ad budget. There is a discount of $30 per month with an annual payment plan. BoldLeads works the same as most companies that source real estate agent leads. By advertising on Google and using customized Facebook ads, BoldLeads entices buyers and sellers to click to a landing page to increase visitor interest in one or more properties. These landing pages then offer a free listing report or guide in exchange for the visitor submitting their email address. Lead exclusivity is important for agents who are concerned about competition in their farm area. BoldLeads only accepts one agent or broker in each ZIP code to avoid generating Realtor leads for multiple agents. If you’re getting leads that are also sent out to 20 other agents, your odds of closing a sale goes down dramatically. Zillow notes that their leads are exclusive, just like BoldLeads. However, Zillow lists several agents on each property page so that the buyer might contact more than one agent about the same property. REDX does nothing to prevent overlapping Realtor leads. A lead is generally only as good as the marketing expertise of the real estate agent working to make the sale. BoldLeads offers training videos as well as weekly webinars to ensure all agents understand how to get the most from their lead generation efforts and nurture real estate agent leads effectively through the sales cycle. BoldLead isn’t the only platform that provides training; Zillow Premier Agent offers videos, webinars, and online training as well. Unlike other lead generation tools, BoldLeads has an integrated customer relationship manager (CRM), automated text messaging, and prewritten drip campaigns for nurturing leads via email. BoldLeads is also one of the only platforms that allow agents to integrate landing pages with their personal website to capture real estate agent leads. BoldLeads also offers partial lead information from landing page visitors who only fill in their address on the contact form before leaving the page. These types of real estate agent leads are ideal for postcard and direct mail campaigns. The number of real estate agent leads an agent gets from any program can fluctuate seasonally by ZIP code or due to market conditions. BoldLeads claims that their customers get a minimum of 20 to 25 Realtor leads per month while some areas will get 60. BoldLeads charges a flat fee of $299 per month to create and manage online advertising, with an additional charge of $250 per month for the ad budget. This ad budget covers the cost of running ads on major platforms like Google and Facebook. It’s important to note that BoldLeads offers separate programs for buyer leads and real estate seller leads. Each is priced at $299 + $250 ad budget. If you sign up for both buyer and seller leads, BoldLeads cuts the total price to $589. Broker plans include both buyer and seller leads for multiple agents and are priced at $899, plus ad budget. These prices are comparable to other lead generation platforms on this list. There is a $200 onboarding fee for all plans, although it’s important to note that BoldLeads waives the onboarding fee for any one-year contract. A six-month to one-year contract is required. Limited Availability by ZIP Code? BoldLeads does limit leads by ZIP code. If your area is unavailable, then you might try Real Geeks for real estate agent leads. BoldLeads has great online reviews averaging 4 and a half stars out of 5. Reviewers on ActiveRain reported that BoldLeads produces a good number of Realtor leads, offers useful marketing tools, and has helpful customer service representatives. Learn how to use BoldLeads to boost real estate sales. Zillow Premier Agent (ZPA) allows real estate agents to buy real estate leads by putting their Zillow profile on listings next to farm area properties. By spotlighting an agent besides a property page, Zillow makes it easy for buyers browsing properties on Zillow.com to reach out directly about specific listings. The agent is the recommended contact for the property, encouraging the buyer to leave their contact details in exchange for detailed information about the property. Zillow Premier Agent allows subscribers to place their profile on their own listings on Zillow.com, while also appearing on the listings of nonsubscribers. With built-in lead capture forms on these listings, lead capture is extremely easy. Once the lead information is collected, Zillow Premier Agent CRM stores the contact to help agents monitor and track real estate agent leads through the sales process. Premier Agent is Zillow’s flagship advertising option to buy real estate leads. Premier Agent allows real estate agents, teams, and brokerages to put their contact information in the sidebar of an individual listing page. When a buyer wants more information about a home, they contact one of the agents in the sidebar by filling out their contact details. Zillow Premier Agent (ZPA) Direct is a newer advertising option that allows real estate agents, teams, and brokers to Realtor leads that Zillow generates in partnership with Facebook advertising. For agents seeking to buy real estate seller leads, Zillow Premier Agent Direct is a good option. As Zillow Premier Agent charge per lead, an average cost per month can be tricky; buyer lead costs fluctuate by ZIP code, market conditions, and competition. However, most Realtor leads cost between $20 and $60, depending on the location of the property, average sales values, and competition. Given these fluctuations, agents can adjust their budgets as needed to increase the number of leads. It’s hard to offer much comparison for per-lead pricing, although BoldLeads buyer and seller Realtor leads cost as little as $5, although the platform doesn’t include an internet data exchange (IDX) website or CRM. 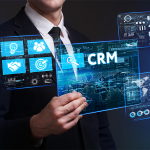 ZPA, on the other hand, includes a free IDX website with CRM to track leads through the pipeline to sale. REDX only includes a CRM and MarketLeader has paid options for an IDX website. Zillow notes on their website that agents can buy Realtor leads on a monthly basis. For agents who want to sign a yearly contract for real estate agent leads, call Zillow and speak to a representative for a contract estimate. The reviews on g2crowd are mixed for Zillow Premier Agent. While some reviewers noted negative experiences with customer service and fake leads, other real estate agents responded with glowing reviews about the quality and amount of Realtor leads. Find out more about how Zillow Premier Agent works and if it is worth the price for real estate agent leads. Market Leader is the only lead generation tool with a guarantee not to resell leads to other agents. Market Leader uses online advertising to generate real estate agent leads for agents, and they cost between $20 and $60 per lead, depending on the time of year, market competition, and sales value of homes in a given farm area. Market Leader uses Facebook and Google advertising to collect Realtor leads. They then sell each lead exclusively to a single agent. While this is an effective way to limit competition, Market Leader leads also vary in cost and quality. Real estate agent leads sold by Market Leader can cost between $20 and $60. Because pricing can vary by ZIP code and market conditions. However, you need to call Market Leader for specific pricing. It’s important to note, however, that they charge per lead instead of a monthly contract. We attempted to clarify contract details with Market Leader directly to no avail. We encourage agents to reach out directly about setting up a contract; they can do so via the website by clicking “Let’s Talk” at the bottom of the page. While Market Leader does allow multiple real estate agents to operate in the same ZIP code, they never sell the same lead to two different agents. While no company can promise these leads have not been contacted before from other sites, it’s still reassuring to know you will be the only Market Leader agent contacting them. BoldLeads also offers lead exclusivity, but by ZIP code and not by agent. Market Leader gets 3 out of 5 stars. Market Leader reviews on G2 Crowd lean heavily toward the positive, with users reporting satisfaction with leads and their marketing software. The few negative responses noted some customer service issues and constant updating of the software causing a shift in the user experience. Find out more about Market Leader reviews and pricing. REDX offers real estate agents and brokers non-mainstream leads for FSBO (for sale by owner) properties, expired leads, and renters. Leads from REDX cost anywhere from $39 to $79 per month, depending on the type of lead. REDX is one of the cheapest lead generation solutions, but unlike BoldLeads or MarketLeader focuses only on niche leads. REDX pulls data from resources like the multiple listing services (MLS), public records, and proprietary sources to give agents expired listing leads, for sale by owner (FSBO) leads, for rent by owner (FRBO) leads, and foreclosure or pre-foreclosure leads. Each month, REDX reruns the search to refresh real estate agent leads. The amount of leads you receive each month varies depending on the types of leads you want, the number of leads available in your area, and how often you buy Realtor leads from the REDX database. REDX is very affordable compared to other lead generation platforms. Pricing starts at $39 per month and increases to $79 per month depending on the types of real estate agent leads. For example, FSBO leads are $39 per month but expired leads are $59 per month. This is vastly cheaper than BoldLead, which starts pricing at $299 per month. There is no limit on availability, resales, or exclusivity of Realtor leads. Reviewers on the REDX website report a high level of satisfaction with the quality of real estate agent leads. From raves about the auto-dialer in its platform for lead contact to the variety of data included with FSBO and expired Realtor leads, agents note REDX is a good investment. Learn more about REDX reviews and pricing. Zurple is an online lead generation solution that uses online advertising to generate leads. With a website builder for creating landing pages, lead magnets to turn ad traffic into warm leads, and built-in alerts that tell agents the right time to contact their lead, Zurple is an effective lead generation tool. Zurple creates custom IDX landing pages for agents, then runs online ads on Google and Facebook to push potential Realtor leads to those pages. New leads land in the Zurple CRM, which agents can then nurture through the sales cycle. The total number of leads per month, per user depends on the number of landing pages and ads that a user is running. It is also dependent on market competition, average home sales value, and seasonality. Zurple pricing starts with a flat fee of $349 per month with an on-boarding fee of between $199 to $499, depending on how many landing pages are built. Adding online advertising through Google AdWords or Facebook costs a minimum of $250. Compared to BoldLeads and ZPA, Zurple is more expensive for lead generation. Zurple requires a yearly contract. Zurple does not offer ZIP code exclusivity like BoldLeads or one-sale real estate agent leads like Market Leader. Zurple reviews tend to lean toward the negative due to poor customer service and low real estate agent lead totals. The reviewers on SiteJabber noted that there were very few leads for the amount paid and representatives did not respond to payment issues. Learn more about Zurple reviews and pricing. Are there ways to get free real estate leads? You can network with other real estate agents and create partnerships to gain free real estate agent leads. Regularly communicating with past clients and participating in community events might lead to client referrals. Read our article on real estate lead generation ideas for more guidance. What should I consider before buying Realtor leads? First, consider your business goals and desired budget. Next, think about the number of leads that you need to increase your sales and how much of your advertising budget you can direct toward this effort to ensure a positive return on investment (ROI). Measuring your ongoing ROI is critical to remaining profitable. Why does exclusivity matter for real estate leads? Exclusivity means that a lead generation company only provides leads to one agent per ZIP code. This means lower competition and a higher likelihood of securing a client. It’s recommended that new agents consider exclusive leads to ensure a higher chance of conversion. Is the return good for buying Realtor leads? The ROI for agents who buy real estate leads can be good because the buyer or seller directly shares their information with the real estate agent in the moment of interest. Free real estate agent leads, on the other hand, may take a while to convert as they can be anywhere in the sales process. The most effective way to tell which type of lead produces the best results is to measure the ongoing return on investment for both free and premium leads. Generally, however, it is recommended that agents establish multiple channels for lead generation. Although buying leads might have a negative reputation, many agents understand that real estate agent leads are vital to success and sales. Targeted advertising is the most successful way to grow clientele in real estate, which is why most agents choose to buy leads. Be sure to select the right lead generation platform for your needs based on cost, type of Realtor leads desired, usability, and customer support. We have not had much success with online leads but my husband and I are doing well with bold leads. In five months we have listed 3 homes and are working with 2 of the sellers on the buy side as well. We have so many nurtures too. I have a listing appt for a high end home on Friday so I am happy about that too. Hi Natalie is it necessary to buy the advertising with bold leads for $299 a month? My experience with Bold Leads wasn’t good at all. I signed up for the seller leads NOT buyer leads and from the get go it was a cluster. CS didn’t respond back when I realized I wasn’t getting the right leads and finally I had to cancel since it was almost impossible to reach my first point of contact, the sales guy. And it cost me over $500+ per month. They let me out of the 6 month contract but it was a cluster from the get go. There was one customer service lady who helped me the most but getting someone on the phone was a problem to say the least. Think long and hard about signing up for Bold Leads. Sorry to hear you had a bad experience with Bold Leads. What kind of issues did you have with the seller leads you were getting from them? Not sure if Natalie is still in the comment thread here, but I can answer your question. The $299 per month is the fee that Bold Leads charges just to run your ads. Think of it as a maintenance fee. Any money spent on top of this (your ad spend) will go toward actually purchasing ad space on various websites. As a general rule of thumb, the more you allocate toward ad spend the more leads you’ll get. That said, it makes sense to start out slow to see if you can get leads that are qualified, and that you are currently able to close at your current skill level. Great to hear you’re clicking with a lead source and best of luck in 2018!